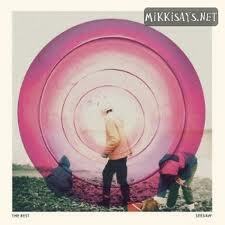 It's been a hell of a long ride for Hamilton based rock band, The Rest to release this album, SEESAW. The band is finally ready to release the full-length album on June 19th. It started off with a loss of a beloved producer/ long-time friend, Dan Achen and a tragic incident resulting in the loss of the recording material from the hard drive. After an unbearable long wait for over a year to deliver what they have crafted, here it is, SEESAW an album filled with a fountain of flawless melodic waves. As I had a great opportunity to ask a few questions to the lead singer/guitarist, Adam Bentley last year (Click here to read the Q+A. ), I was stoked to listen to the full album. It’s strange the title was actually made before we lost the album. I guess 'SEESAW' felt we needed some more reinforcement. - He had mentioned in the Q+A to explain one of the meanings of the album title, which is the up and downs of the writing, recording and mixing process. Whether or not you see this incident as coincidental or destiny, I hope you can feel the intricate meaning behind the album. The opening track of the album, Who Knows kicks off the album smoothly. - It enumerates the tempo of song with rhythmic drumbeats and guitar riffs and it leads to a booming carnival. Hey! For Horses escalates its pace drastically and walks through a percussive march towards the end of the song. While these alluring tunes, including Learning Yearning, set the tone of the album, slower tune, such as Could be Sleeping or The Lodger, easily fit into the album, provoking some profound thinking from its melodies and lyrics. My favorite song on the album is Always On My Mind. Bentley's emotion-provoking howls drift along with synthesized striking beats and march through toward the end with propounding cello and guitar strokes. The band recently shot a music video for this song with friends and family, joining the choir. I just love how every single sound in the song becomes one toward the end. Please have a listen. Despite the fact that this album, SEESAW, took so long to release, I want you to remember this is not the end of the story. In fact, It is just a beginning of a long music journey for such a creative band. You can listen some songs from the below link. There is an album that I've been listening to endlessly this week. 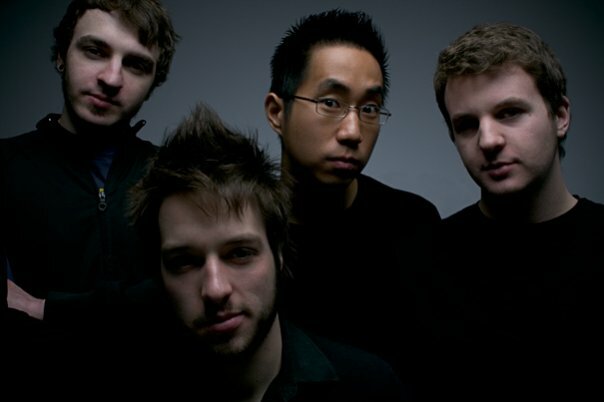 It's called Ashen by Vancouver based project, The Crackling, released on May 22nd via File Under: Music. Imagine the sound of a fire catching a pile of wood in the fireplace, slowly demolishing the figure of the wood and collapsing into ashes. This process of the natural occurring along with the different stages of the sounds is what Kenton Loewen conceptualized in his new project. 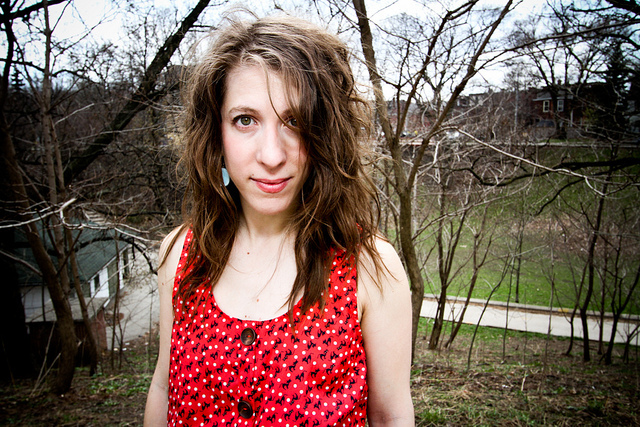 Loewen is best-known as a supporting drummer for various artists, including Mother Mother and Dan Mangan. Being the behind-the-scene guy for the past decade, he has channeled his focus on guitar and songwriting with this project. He has hosted various fellow musicians on this project. This EP, consists of five songs, which will lead to a full album release later on this year. 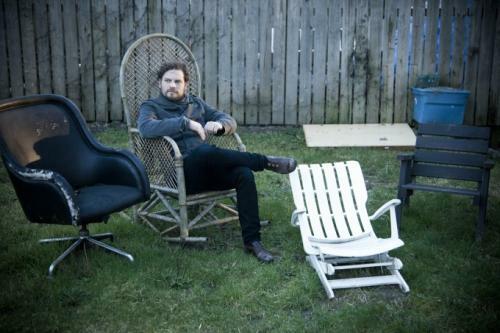 In this EP, Loewen recruited the Vancouver Chilren's Choir (in Keep Me Drunk) and Dan Mangan (in Ashen.) He has also included a cover of Suicide Is Painless, aside from his originals. My favorite song of the album is Keep Me Drunk. This acoustic tune is a soulful slow song. The harmony by the Vancouver Children's Choir cannot be done any better than this, extracting the accumulated feeling toward the ending of the song. There is a short documentary of the song. This song is not literally saying" Keep me Drunk", rather it is Loewen's message to keep him more excited or interested, a metaphor of a love. I cannot wait to hear this song in person. I hope the Crackling will go on a tour very shortly. 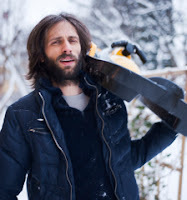 Norwegian Hans-Peter Lindstrom, aka Lindstrøm, has worn various hats in the past. Some of you may recognize his name for his countless stellar remixes, including LCD Soundsystem, Frans Ferdinand, Best Coast and so forth. Others may have been astonished by his producing works with various artists. No matter what people label his music. 'Space disco' or whatever you want to call it, one thing always stays the same.- His magic wand casts a fountain of musical hooks on each song that he works on. His recent release, Six Cups of Rebels via Smalltown Supersound, has poitned him in a new direction which invokes cosmic sparks. 70s dance or dive tune filled with retro organ sounds entice listeners curiosity to the peculiar hooks. 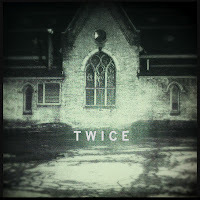 No Release, the initial track from the album, contains a five-minute repetition of an 8-note organ melody. It gradually climaxes into profound layers of melodic beams.Quiet Place to Live, which was recently remixed by Todd Rundgren has a guitar intro that leads to a glittering dance track, which flabbergasted me from the first listen. It was as if someone dropped a water drip in my ear. Lindstrøm is currently on a short North American tour, and we, Torontonians are one of the lucky cites to have him over. He will be performing in Toronto at Wrongbar on May 26th. It's a great chance to witness his magic in person. 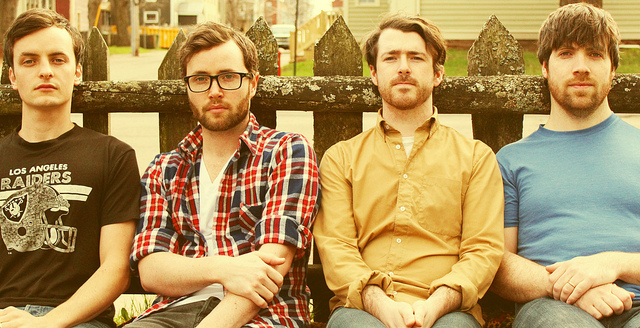 PEI indie pop rockers, Paper Lions have been quite quiet due to the recording of a upcoming album with producer, Howard Redekop, which is set to be released in fall 2012. However, their post productions have been on fire. One of their earlier efforts, 'Travelling' hit 1 million viewers on Youtube the other day, which is well deserved for a talented band like them. As Butch Walker says, that there's difference between a hit song and a good song. This song is definitely the later as it grows in the listeners after several times of listening, leaving a scar in your brain, engraving a memory of a time. Whenever I listen to this song, I remember the moment when the singer, John MacFee engaging with the audience during the chorus to sing along with his single acoustic guitar. It's one of my favorite moments of a live show. Since they finished recording at the studio, they are back on the road just in time for this year's NXNE. They will be playing two shows in Toronto: June 15th at El Mocambo and June 29th at Yonge and Dundas Square. The Y&D show is free. What else we can ask for? A good free show with a beautiful weather in the downtown core? I will be talking with Mukai before the show! It's gonna be a goose bump experience! A hip-hop pop duo, group_inoru, will surely bring something different to the stage from the other bands. With the combination of the alluring pop synth tunes crafted by a producer Imai and a loose yet smooth float of rapping and singing by cmcee CP. They've already shared a stage with Deerhoof and Battles in the past, casting dance moves on the entire venue. This cute sisters duo, Charan-Po-Rantan, is something that you probably have never experienced in Canada before. 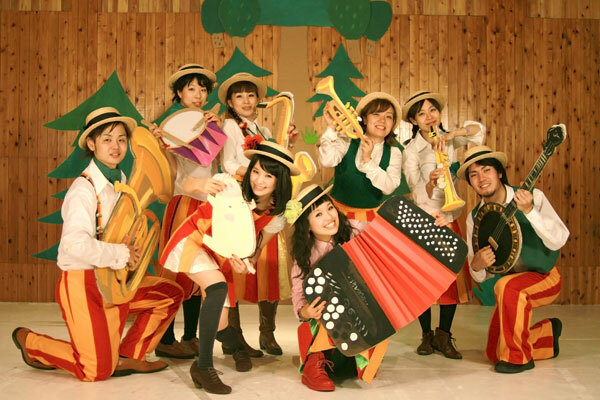 The Vocalist, Momo's pretty face and an obsession for pigs, (In fact, she always carries a big stuffed toy on the stage) and the award winning accordion player Koharu, seem like they are just kawaii face. However, these doll faces have already established their fame as classic/psychedelic pop musicians at an early age and showcase their superior musicianship. In this tour, a fellow folk pop band, CANCAN BALKAN will be supporting them as a backing band. They are definitely my most-anticipated act among others. Last, but not least, Psychedelic noise rock band; PrahaDepart is ready to shake up Torontonians with their peculiar timings and shivering shouts. They've already toured internationally in the states and Europe in the in 2011. It was just about the time for them to conquer Canuck land. The door is at 9p.m and tickets are $10 (that's it.) Be there or be square. Also don't forget to help Steve crowd surf in the audience. CMW Gives A Chance for Canadian Bands to Play in L.A! 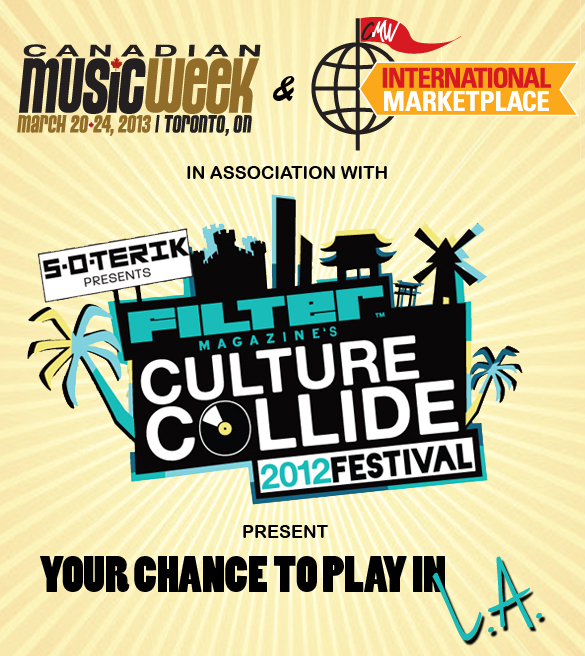 If you are a musician or in a band, here's your chance to win a spot to play at Filter Magazine's Culture Collide Festival. It takes place between October 4th-7th in Los Angels. This international festival features artists from over twenty counties. 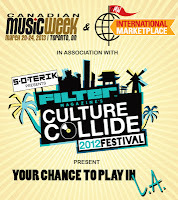 Some confirmed bands are Junip, Of Montreal, School of Seven Bells, Clinic, Penguin Prison, Class Actress and many more. Although you still have to cover the travelling cost etc, this is a stellar opportunity for our underrated artists to shine in the spot light. Don't miss out! As loud as a thunder, Toronto rock quarter TNG cast a tornado of melodic Rock N' Roll tunes on Saturday May 12th at the Velvet Underground. "Am I at the right venue?" - with a big question in my head, I stepped into the venue, filled with a frenzied electronic DJ set. It seemed mismatched that a rock band was performing between DJ sets. Yet, once TNG commenced their set, it was easy to tell that most of people showed up that night were so-called, TNG royalists, - friends, family and fans who continuously support the band. The recent incident at Parts + Labour, as their set was interrupted in the middle of the performance by the police due to the noise, fully prepared me for some ear buzz after the show due to their loudness. However, what I was more inclined to remember during their performance was not their noise, but their stellar melodic structures and harmonies in each song, luring the audiences' ears, which distinguishes them from the rest of 'loud' rock bands. Being just loud makes you a dime a dozen. Yet, TNG stepped further from that game with their melodic sensation. The lead guitarist, Jeff hauled his stylish white guitar, and roused dapper guitar solos. The lead singer , Frank minimally deployed his unyielding voice from the bottom of his lungs. I just loved the hooks of the hit tunes. Ringing in My head. The song always rings in my head once I hear it. Aside from their heavy rock tunes, TNG showcased their sweet side by performing songs about true love. I'll Find My Way, a slow ballad generated a sing along from the audience during the chorus of the tune. I told you, there were lots of TNG royalists at the show! They ended the last song, kicking and smashing the cymbals from the drum kits. How could we just go back to a DJ set after such an energetic live show!? I know that I can't. Most of the time when a band comes in town to occupy a big venue like the Sound Academy or Kool Haus, I have to be there on time to witness all the opening acts to make sure that I don't miss a thing. (Maybe it's just me, but I bet I could see some people nodding their heads on this.) I'm not usually fashionably late for any these shows to make sure I fully get what I paid for. Sometimes, an opening band becomes one of my favorite bands, while the long wait is totally worthy, and others fail to shine in the precious spotlight of thousands, while I stare at my toes for countless occasions during the set. It's very hit and miss, don't you think? For those who are heading to Kool Haus on May 13th to see Edward Sharpe & The Magnetic Zeros, you are in for a real treat. 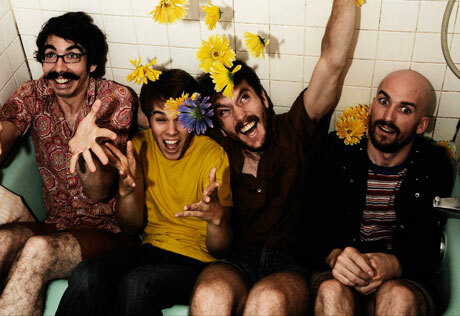 Los Angels new wave pop quartet, Fool's Gold, have been hitting the road to support the indie folk giant. Their latest release in 2011, Leave No Trace, became a utopia of 80's new wave revival. Their boogie-woogie dance tunes entice tip-toe dancing to hop-step jumping. Despite their difference in musical style with Edward Sharpe & The Magnetic Zeros, you can easily find yourself bouncing around during the show. Fool's Gold released a music video, The Dive, off the new record. This very summery frenzied tune will take you to a paradice of new wave. I picture myself floating on a little boat in an ocean listening to this song. Get yourself ready for this show by watching it! After a few trips to L.A to record new material with producer, Bill Bell (of Jason Mraz and Justin Nozuka) since his previous EP release, Art of Conviction, Toronto root rock singer songwriter, Craig Stickland is back in town to rock the hell out of the Drake Hotel with his vigorous voice, which immediately lures listeners' ears. 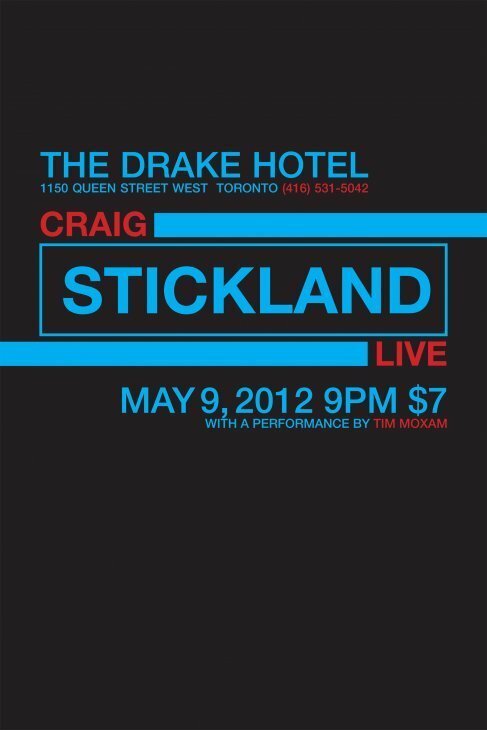 Stickland will be performing Today, May 9th, at The Drake Hotel with Tim Moxam. You can check out a sneak-peek of his new tracks via Soundcloud. Among the three tracks unveiled, my favourite is The Only Way. This heart-felt ballad melts my soul. The concept of the lyrics revolves around the connection through the sky with a loved one once in the life. Its easy to picture that this sugar sweet song with Sticklands rousing voice will capture many girls heart, not only mine. il est tres beau! It's been a busy year for East coast folk singer songwriter, Gabrielle Papillon with her new EP release, THe Currency of Poetry. As a lifetime musician, her musical sense intuitively picks simplicity in music and crafts it into authentic folk melodies. The album title track, No Common Ground , was performed with a fellow singer, Corinna Rose during the Halifax Pop Explosion, which was captured by Heavy Weather. It starts off with the chiming acoustic guitar tune and Papillon's ear-tickling soft voice joins in with the harmony. You can easily reconcile the emotive lyrics with your personal experience, while the song finds a place in your heart. In the midst of her third cross-Canada tour, Papillon is stopping by in the town today at The Piston with Brie Neilson and Mary Milne. It's a nice way to spend a lovely early summer evening. Toronto hard rock band, A Primitive Evolution have been working on their acoustic effort since last year and it sounds like the quartet is a step away from finalizig the record. Prior to the album release, APE have unveiled a video of a single, I Feel it All from the record. (It took me a while to realize that the video was released. So tell me, how did I end up missing this video release?) Anyhow, once I commenced listening to the song, I was immediately mesmerized with the progression of the song. I love that the gravity of the song lightens up just before the chorus, withdrawing the listener to the creative APE world. In addition,the song climaxes with a complete different feel to the song. At last, but not least, kudos for the awesome artworks for the video shoot. My eyes and ears are pleased. Meanwhile, they have been very quiet in terms of their shows this year due to their busy recording schedule. Count me as one of long-awaiting fans. They announced a few shows in Ontario, including a Toronto show at Cherry Cola's on Thursday, May 10th. Who is gonna join me? Why let them poison your mind like that? I haven't encountered a cover that wowed me lately. Yet, I found an email with this cover in my inbox and since then, I just wish that there was a MP3 version of the song as I've been endlessly repeating the song on YouTube. It's a collaboration of Toronto pop rock band, The Elwins and the front man of Born Ruffians, Luke Lalonde, covering Beyonce's Countdown. To be honest, I was very surprised to learn that his bohemian rhapsody is actually a single of the former Destiny’s Child singer. I don't listen to any top 50's on the radio. I expected all her songs to be more up-tempo dancing tunes. This very chilling melody has been modified with The Elwin's signature charming lollipop tune flavor. On top of that, the song was sugarcoated by Lalonade's super high-pitched voice, adding more hooks to the song. Stuck Tune Syndrome: Here Below, "So, Still"
I discovered Toronto rock band, Here Below, right after my very first APE experience in the winter of 2011. It also happened to be the first show that the newly added guitarist, Scott Carruthers shared the stage with the crew, which I couldn't tell at all from their tight performance. As I started digging their dark Radiohead-infused melodies, filled with peculiar rhythms, which I was lured in to, I just started streaming their music. It was right up my ally. However, it was such a heart-breaking moment to find out that Here Below went on hiatus. I've waited so long for this moment.They are currently recording new materials to be released in Spring 2012. A couple of songs have been put up on Soundcloud if you would like to check them out. Oh hold on, I meant that you MUST check them out. The singer/guitarist, Scott Carruthers and the drummer, Steve Song have performed an acoustic version of "So, Still" via Deck Jams, captured by Andrew Pierce from Wandering Media. Two Thumbs up! I promise you if I hear anything about them, I will keep you guys posted! Stay tuned! Toronto based rock duo, Army Girls unveiled their new single Twice and announced a spring tour with PS. I Love You. This new single, Twice, is a 60's surf rock infused tune, simply a guitar and drums, which hits the sweet spot. I can't say this enough but I'm in love with Carmen Elle's sophisticated yet vigorous vocal. Check it out. Drinking straight vodka from the glass and head banging their sweaty foreheads, Hallifax based rock band, Alert The Medic delivered an ardent performance at Horseshoe Tavern with The Dudes, Poor Young Things and Ascot Royals. Their performance was filled with energetic stage performance with grungy guitar riffs and hammering beats from their last efforts in 2009, We, the Weapons, I felt as if every time the front man screamed out his lungs, he was trying to burn the moment in the audience's memory, showcasing how Nova Scotians party. It is just a matter of time for them to conquer this province with their vigorous energetic Rock N Roll tunes. They ended their performance with a track off the album, Hey kids, To the Back of the Line. The repeating lyrics with alluring verse hooked my ears. I caught myself singing the bit out loud in the bathroom after the show. If you missed this show, don't worry. Alert the Medic are fortunately spending some time in Toronto with their residency at Supermarket and also some other gigs in Ontario/GTA/Toronto. If you would like to experience stuck tune syndrome, you should check out one of their shows. Here is the rest of the tour dates.